Harry Winston watches are produced in very small quantities. The best Swiss watchmakers work on super complex mechanisms. However, in addition to unique movements and noble metals, the company Harry Winston is experimenting with new for watch industry metals for example with super-hard and ultra-lightweight zalium (Series Project Z), from which a series of watches Ocean made of. Collection Ocean Sport ™ - is a kind of quintessence of innovation and design. This collection embodies the spirit of the company, which is always moving forward to meet even the most insurmountable obstacles. Sport orientation and the use of such not peculiar to watch making metal - zalium gives the collection Ocean Sport ™ a unique character and appearance. The watch cases from the collection of Ocean Sport ™ have become the new standard specifications for watches. At the annual exhibition BaselWorld 2012 the company Harry Winston introduced its another watch creation from the collection of Ocean Sport ™ - men’s watch Ocean Sport ™ Chronograph Limited Edition, which is designed to conquer the hearts of the most temperamental men who prefer the extraordinary form, obtained by the latest technology, without forgetting the real watch tradition. Massive 44 mm case with thickness of 14, 8 mm is made of zalium. Zalium - is metal having a higher strength and excellent resistance to corrosion than titanium. The rarity of this alloy is related to its outstanding physical properties: on the Earth zirconium is much rarer than titanium, and extreme hardness makes its treatment a particularly difficult process. Zalium is heavier than titanium and is much harder than it, so the rim of the case cannot be stamped in the usual way and it cut from a single ingot of the alloy. A watch dial is open, which allows observe the fascinating work of the internal mechanism with Clous de Paris pattern with polished stripes, date window and the case ring are mounted on the micro-bearings. Clous de Paris finishing creates a relief and a clear graphic shapes catch the eye to the hands and counters. The watch design emphasizes the depth and gives a three-dimensional structures deliberately bold character. On the dial are displayed all functions of watch Ocean Sport ™ Chronograph Limited Edition: hours, minutes, seconds and chronograph. Minutes counter is a complex structure with a conical openwork top, while the hour counter takes the form of a disk, partly by the setting dial. The hours and minutes indication by using the blue hands is different unobtrusive and yet the utmost clarity. Date is easy to read due to its location at the end of the fixed window at 12 o'clock position. Decorative piece of bright blue moves over the window at position 2 o’clock. This is the "Shuriken" - a symbolic piece Harry Winston, in a fun and unusual indicating way of proper watch work. The dial is protected by durable sapphire crystal, which is extremely resistant to various kinds of scratches. 42 - hour power reserve is provided by a mechanical watch movement with automatic winding. Ocean Sport ™ Chronograph Limited Edition watch comes with a black rubber strap fitted with a solid folding clasp made of zalium. Sports and skillfully designed clock Ocean Sport ™ Chronograph Limited Edition is a rare elegance of a harmonious combination of colors with a smooth transition from the shades of black and anthracite - gray to light gray and white with a skillful use of the blue. Sports and skillfully designed wrist watch Ocean Sport™ Chronograph Limited Edition is differ by its rare elegance of color harmonious with smooth transition of shades from black and anthracite – gray to light gray and white with skillful use of blue color. The combination of technique and aesthetic solutions gives a special power to the model. If you decide to buy a watch Ocean Sport ™ Chronograph Limited Edition, you should hurry, as the watch is released in limited edition of only 300 pieces. 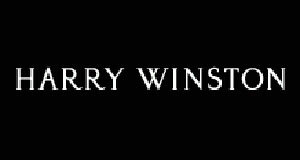 Official site of Harry Winston watches.